Print and file absent report at the end of the day. 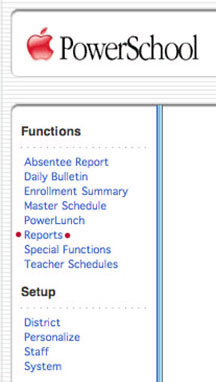 #1 Select Absentee Report from the Main PowerSchool Menu. #2 Enter the codes to scan, check the periods to scan (see red highlight to the right). 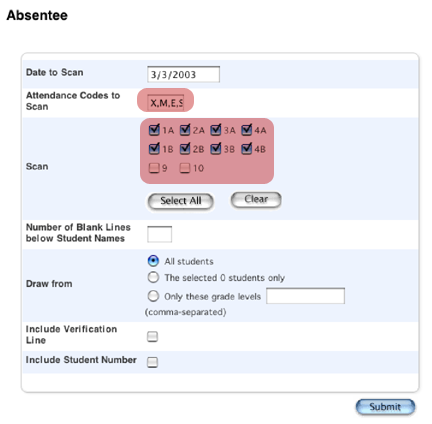 Click on Submit and in a moment or two you will have a list of students with links to print or audit. #3 The list will display and can be printed from your browser. Notice names are blue links so students can be accessed from the list.